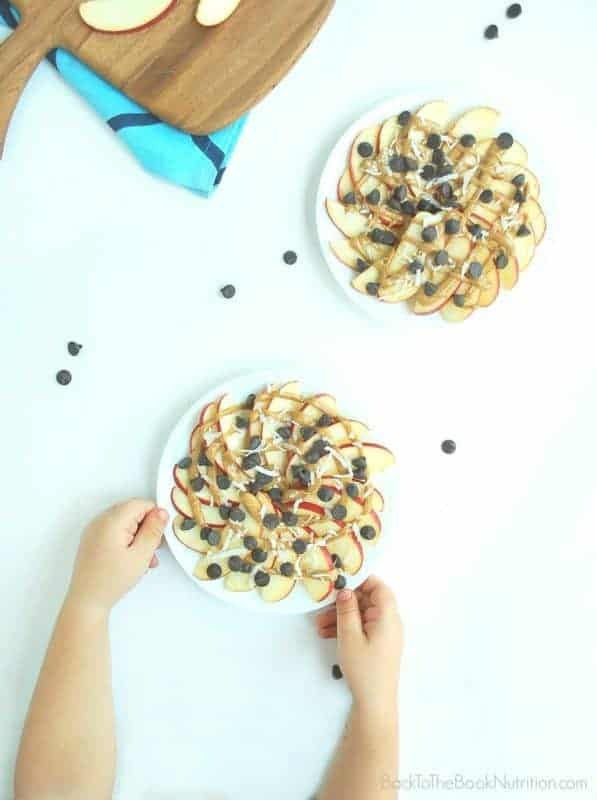 These healthy apple nachos are an easy after school snack or dessert kids can make themselves in just a few minutes! 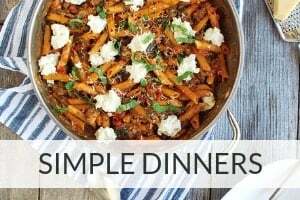 As my oldest heads back to school, I’ve been dreaming up ways to make those busy school mornings easier on everyone (Have you seen these grab-and-go breakfasts and make ahead, freezer friendly lunch ideas?). We’ve also been test driving a few after school snack ideas, and these healthy apple nachos were a real winner! 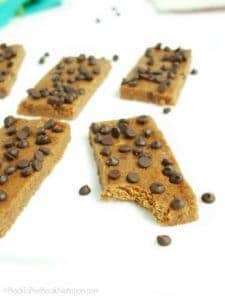 And for kids with food sensitivities or allergies, it’s nice that these are gluten free, grain free, dairy free (I use these dairy free chocolate chips), and have a peanut free option! I love that these apple nachos are healthy and the kids love them. But, I also love that my six year old daughter can make them all by herself in 5 minutes or less! 1. An apple slicer and corer like this one designed for kids is a very handy tool. 2. Buy pre-sliced apples to avoid having to slice the apples. 3. Use baked apple chips instead of fresh apples. As for the toppings, the sky’s the limit! 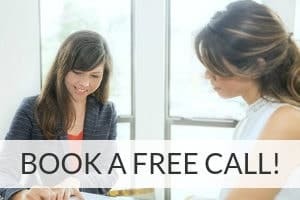 Almond butter or seed butters (whisk in a little water or honey into thicker nut/seed butters if needed before drizzling) can be used for a peanut free version. And dried fruit, chopped nuts, or granola would all be great in place of the coconut and chocolate chips. Any way you slice it (get it, *slice* it? ), kids of all ages will love these healthy apple nachos! Toppings of choice I used dark chocolate chips and shredded coconut, but you could also use dried fruit, crushed nuts, or whatever sounds good to you! Core and thinly slice apples. Divide apple slices between two plates. 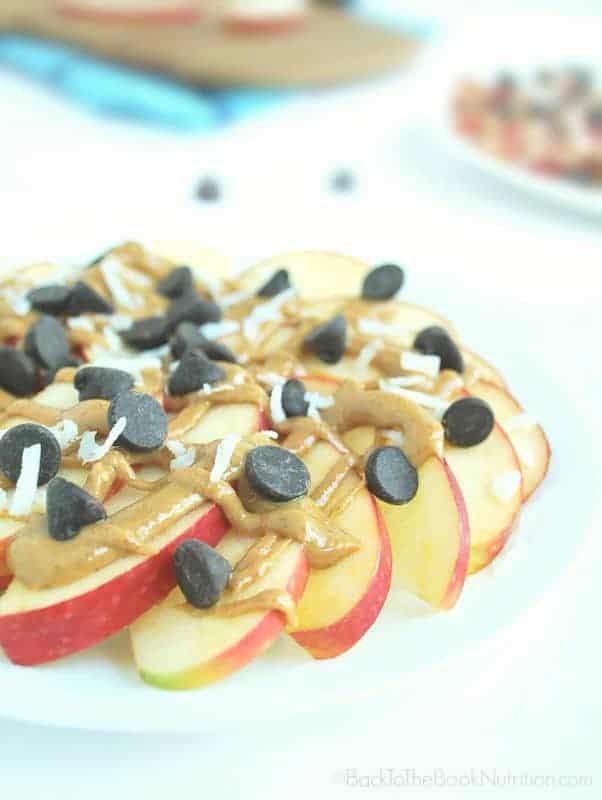 Drizzle apple "chips" with the peanut butter, then sprinkle with additional toppings. 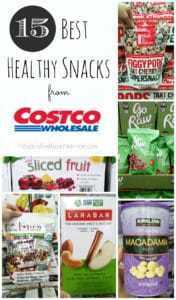 Check out these other healthy kid-approved snacks! Ooooh, now this is an idea I can get behind! 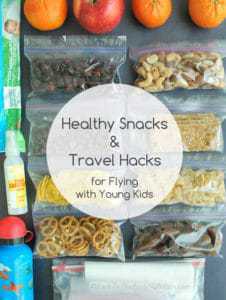 I love this idea for after school snacks for my little boys! What a great idea, I love this snack. It’s definitely much more fun when you call them apple nachos. I mean who doesn’t love nachos? This is seriously brilliant especially for the kids and ours loves snacking on apples so this is the perfect after school treat! This is such a great idea to encourage kids to snack with nutritious food. Instead of candy or food heavy in bad fats — this is ideal. Very satisfying plus a little bit of sweet chocolate. Easy to keep the ingredients on hand. That sounds like a fun thing to do with my kids. Now for Jewish new-year, we often eat apples with honey drizzled over so sometimes I throw in some blueberries. This is definitely great for kids snack time. We actually celebrate the Jewish festivals too so I just bought a huge load of apples for our Rosh Hashanah meals and desserts! 🙂 Thanks for your comment, Veena! I absolutely love these apple nachos! so easy to make and the fact that even the kids can make them by themselves is huge! Being a healthy snack that can adopt different toppings is fun so the kids will love these even more. These look like such a fun and delicious treat. It’s also perfect timing with all of the gorgeous apples coming into season right now! My daughter will love this nachos, as it has apple and chocolate chips. I like it because I don’t need to cook anything. So both mom and daughter win .